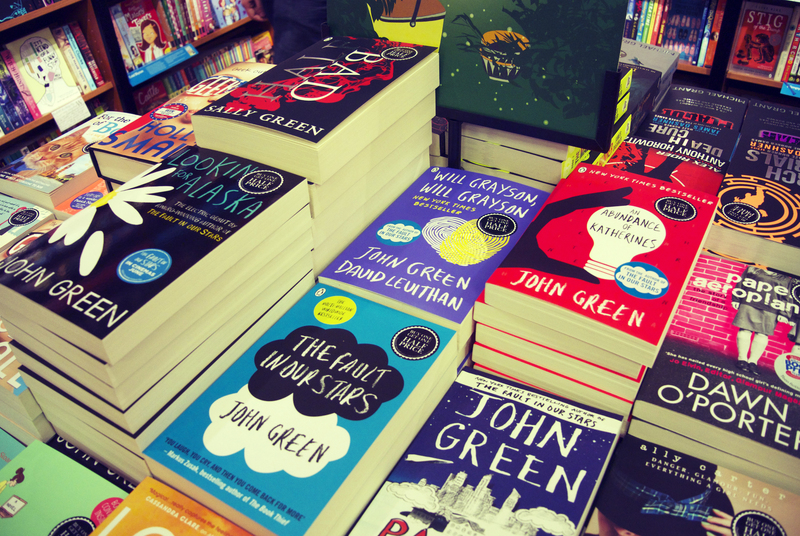 Last year, I failed to list The Fault in Our Stars in my favourite books of 2013. I don’t regret my decision at all (Eleanor and Park won the ‘sad YA’ genre for me) but this didn’t mean I wasn’t excited for the film release. I was. I was incredibly excited. Especially because the two writers wrote one of my most loved and most watched films, (500) Days of Summer. Tim was kind enough to sit next to me whilst I sobbed come with me to see the film. And I quote “Dismiss it if you wish but I know I will see it and that the person sitting next to me will be weeping like a loon” – Mild Concern. He was also prepared to leave London and see it with me in The Country, so I didn’t have too far to travel after work. 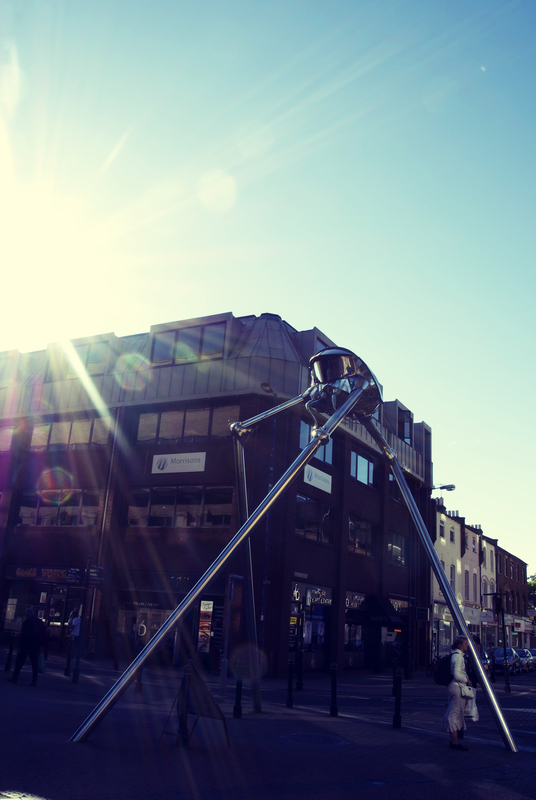 We picked Woking as our mid-way town and the very weird Ambassadors Cinema which is apparently independent – good for us to support the independent British cinema industry. I managed a bit of a mooch about the shops before Tim’s train arrived, and thought I’d get a photo of the Fighting Machine statue. I don’t think the residents of Woking appreciate how brilliant it is to have a Tripod from War of the Worlds right next to their BHS. It’s deeply odd and I love it. We grabbed a pizza at a convenient and very empty Italian place, popped into Waterstones for some book chat before the film, and then we went deep into the heart of the Ambassadors complex to get to our screen. I had the smallest popcorn in the world, and we got settled into our seats. What repeatedly amused us was the sheer volume of screens – in the box office, above the screen entrances – and the complete lack of information on them. Unless you had been online, you would have no idea what they were showing. We weren’t too sure that we were in the right screen until the BBFC card appeared. I loved the film. Some of it didn’t have as much of an impact, and there were moments in the film that felt a bit slow, but overall, it smashed my heart into tiny little smithereens. Shailene and Ansel have great chemistry, and once again I was mesmerised by how natural and real Shailene acted. She is such a talented woman, and I can’t wait to see what she comes up with next. Unsurprisingly, there were sniffs coming from all around us (including me, of course), and one scene in particular really hit the audience hard. I was clever enough to not put eye make-up on, but not clever enough to bring tissues with me – why do I never learn. At the end of the film, most people went running to the bathroom and I refused to let Tim see my hideous snotty mess of a face until I’d had a chance to sort myself out. There was a serious lack of tissue in the stalls, leading me to conclude that many tears had been shed that day. I managed to get my step count up by walking Tim to the train station, and then getting subsequently trapped in the deserted shopping mall. A faintly terrifying end to a very tearful evening. 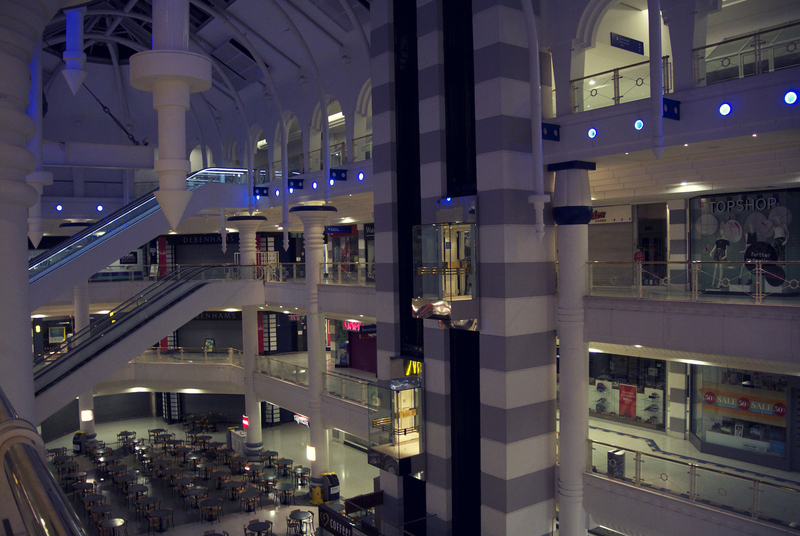 That shopping mall in Woking is weird. It freaked me out pre-Derren Brown all those years ago. And it’s still just as weird now. I hope it’ll stay weird forever.